How would I describe this palette? In one word… EPIC. 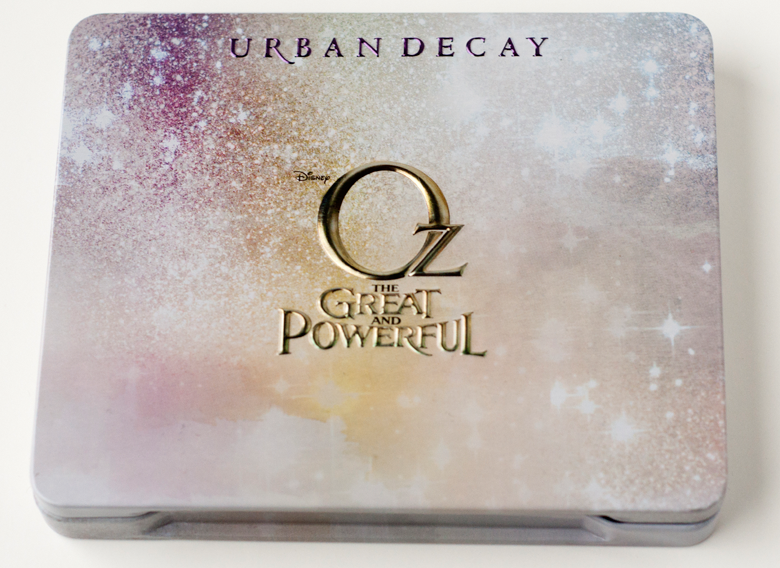 The case itself is very sturdy with a full mirror and the eye shadows are removable to put in any other Urban Decay customizable palette case or if you run out of a shade in this palette, you can put another in its place. 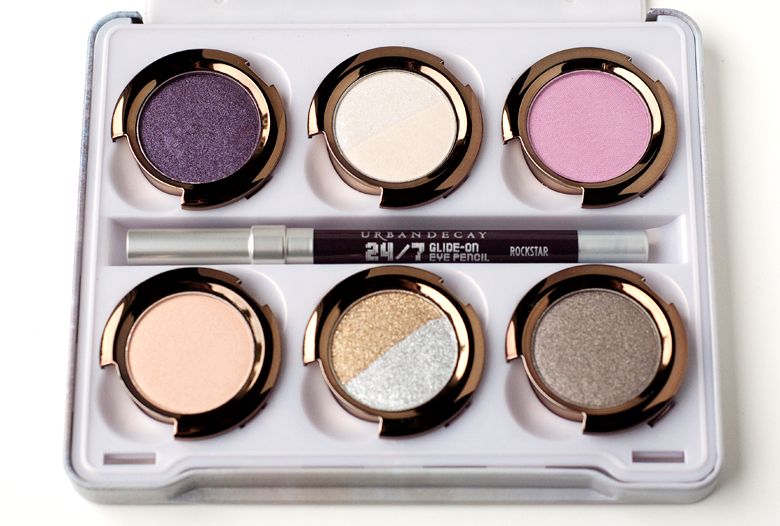 It contains eight eye shadows in six pans, as two of the pans contain dual colors. Magic is my #1 reason to recommend this palette. It’s this perfect warm pink with golden shimmer, I wish they sold this separately because I LOVE IT SO MUCH. 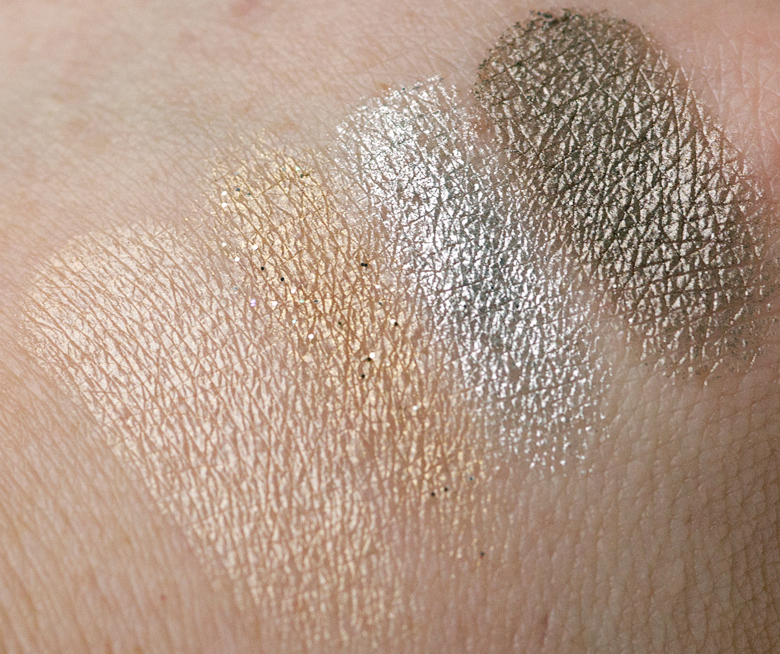 The gold shade in Oz has a bit of chunky glitter so pat, don’t rub, this shade when you’re using it. 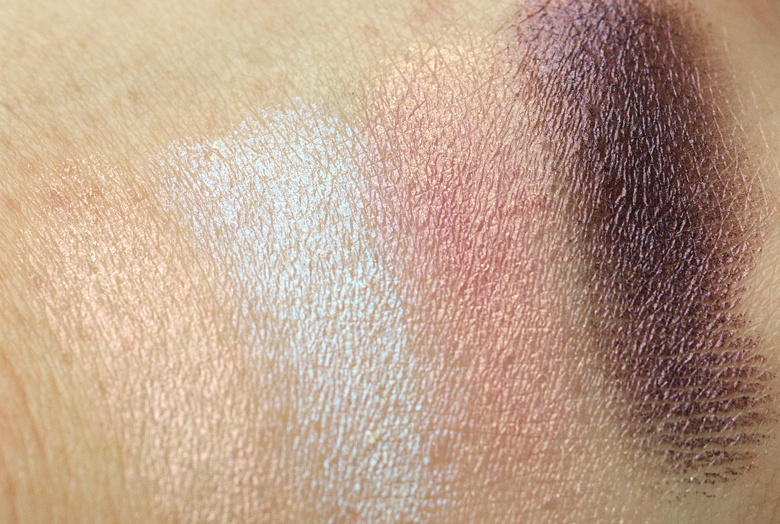 The formula on all of the shadows is what you’ve come to expect from Urban Decay. 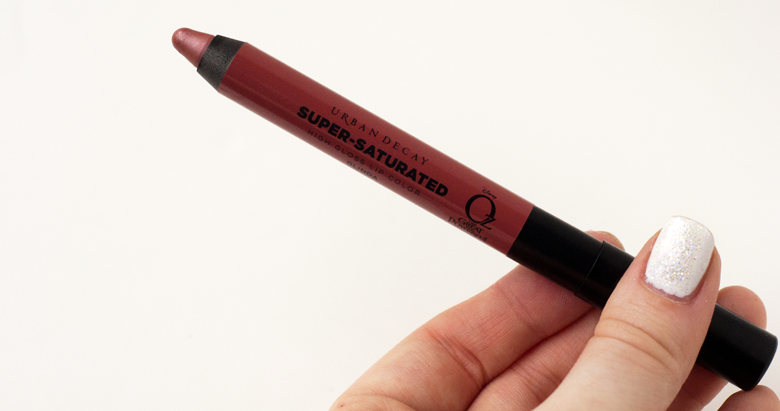 Soft, creamy, smooth, pigmented, and blendable. 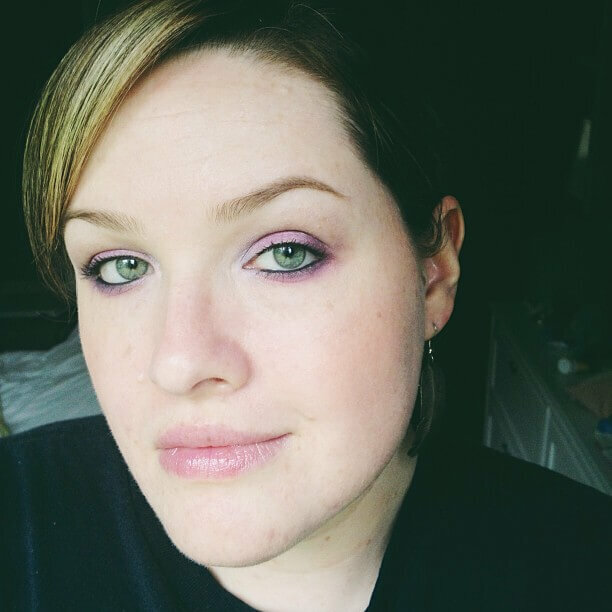 I always recommend using an eyeshadow primer underneath any eye look and my favorite one, naturally, is the Urban Decay Primer Potion. It makes your shadows last longer and more vibrant. I did not use any primer on the swatches above so you can just imagine how much more vibrant they will be when using primer. It also came with a travel sized 24/7 Glide-On Eye Pencil in Rockstar which I love! It’s a really dark purple shade. 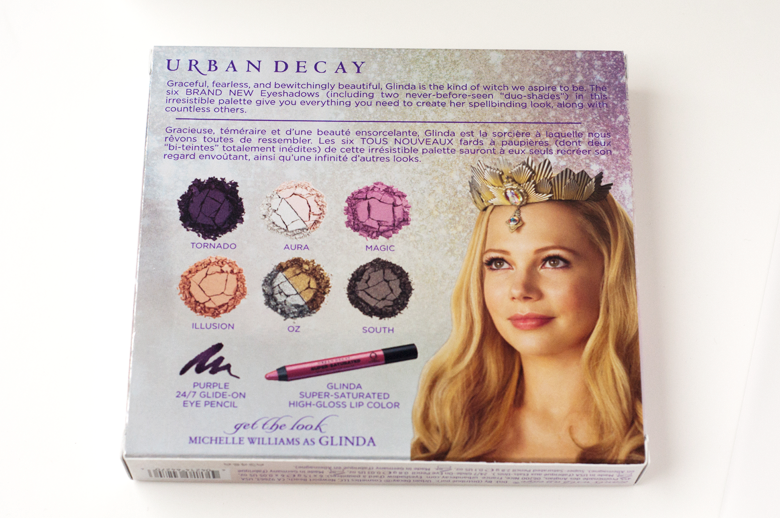 You also get a full sized Super-Saturated High Gloss Lip Color in the shade Glinda. It’s described as a “light sheer beige” but for me it’s a much more pigmented peachy pink. It’s creamy and hydrating. They DO require sharpening so my standard trick is 15 minutes in the freezer, then sharpen so you don’t make a mess or lose too much of the product. 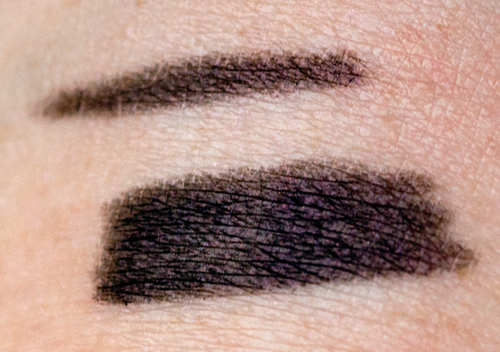 And here I am wearing the eyeshadows Magic, South, Aura (both sides swirled together), and Tornado. I’m also wearing the Rockstar eyeliner. Pretties! I love all the shimmer! What an amazing giveaway! It’s such a bummer that I can’t get urban decay products here and delivery usually makes them SO expensive. Ooooh, the Glinda lip color is perfect. The elements of the palette work really well together. All the glorious shimmers are beautiful! Off topic, your nails are stellar! I like the khaki green and the purple, but micro-glitter always always scares me! In any case I think UD palettes are almost always great value, so it’s a good buy! Really glad you included a picture of the colors on. I sometimes have trouble figuring out how I would apply it – particularly layered or graduating color on the eye. I want this. Bad. I LOVE it!!! I saw it on HSN one morning and it took every ounce of willpower to resist buying it because I didn’t h ave the funds for it at the time. 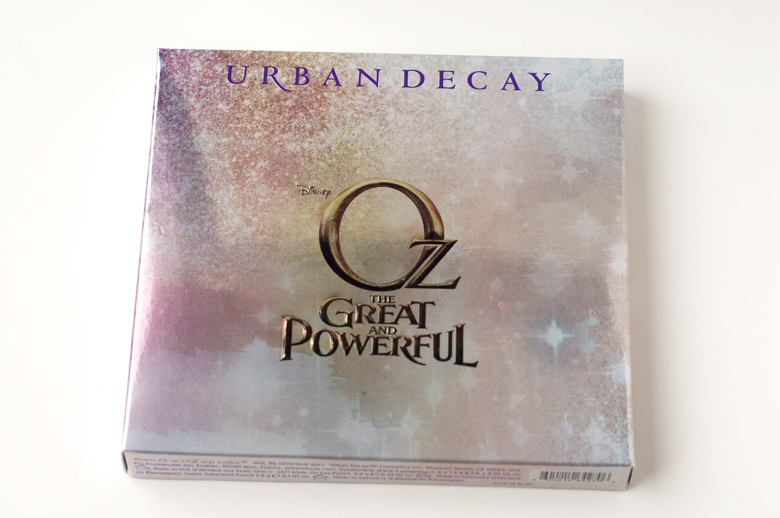 It is definitely my favorite out of the two Wizard of Oz pallets they did! I love the Gliinda palette! 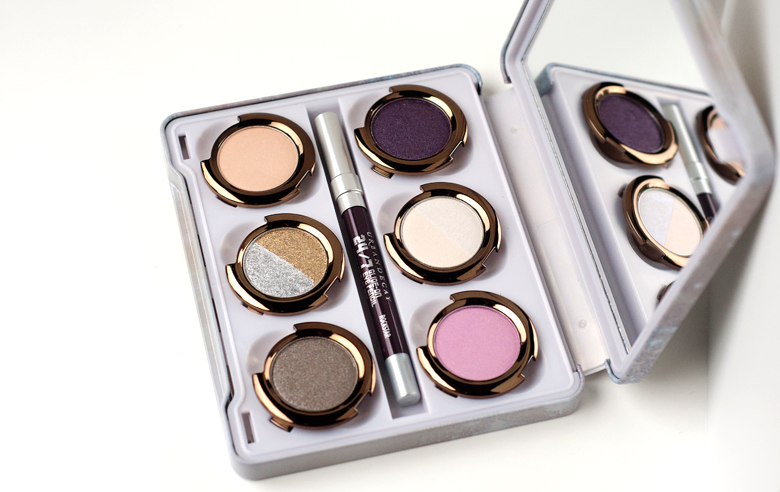 the colors are gorgeous and I can do so many color combinations with the shadows for some great eye looks! 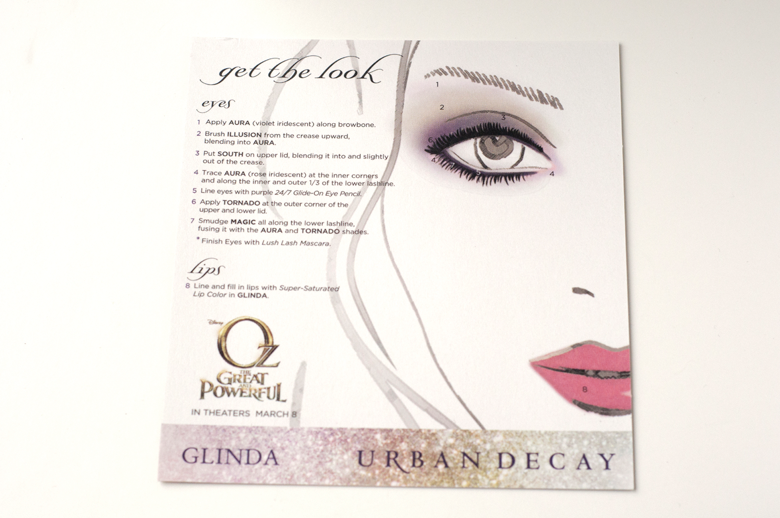 I think the Glenda Palette from UD is just fabulous! I love variation of the of colors and there are endless posibilities of looks you can create with this palette! love all the colors! i dont think i would know how to use them heheh. OMG PLEASE TELL ME WHAT NAIL POLISH YOU’RE WEARING WANT WANT WANT. LOL!!!!! I felt SO proud of that mani! It’s 2 coats of OPI Alpine Snow with 1 coat of Julep Vanessa.